Anna University published Internal Assessment schedule for Regulation 2017 first semester UG & PG students. 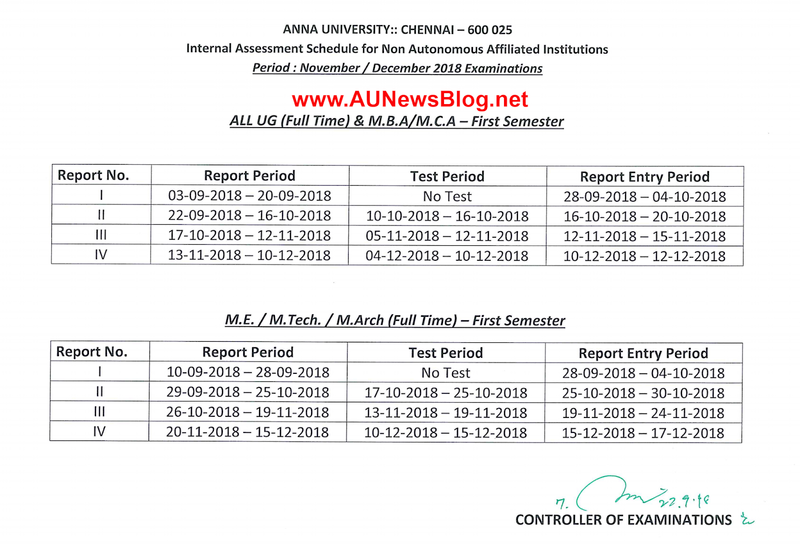 Everyone knows Anna University release different assessment schedule for the first semester or newly joined students. Because they have different reopening date. Already AUNewsBlog team published Internal assessment schedule for all other semester. Check it on this link.